What is the point? It tastes like a bad version of coffee but with out the caffeine. 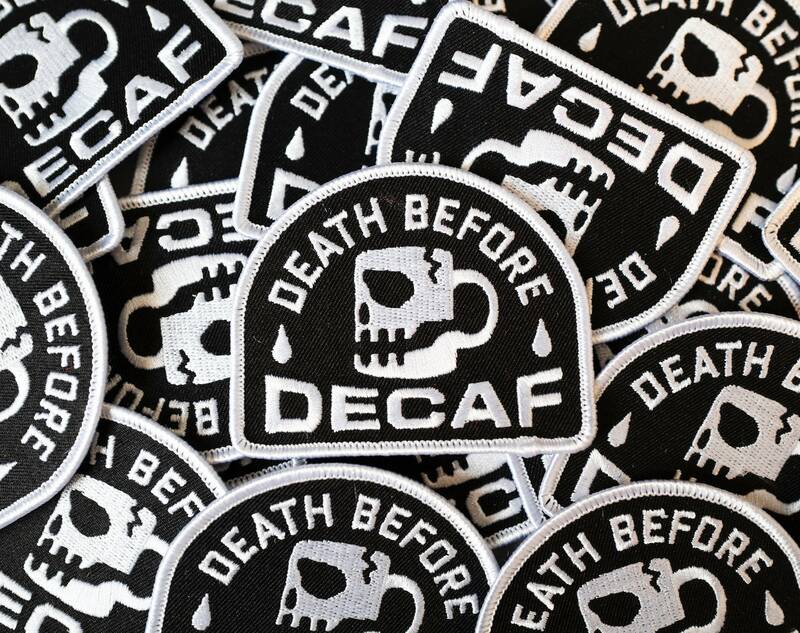 Let the world know you have great disdain for decaf coffee with this iron-on patch. 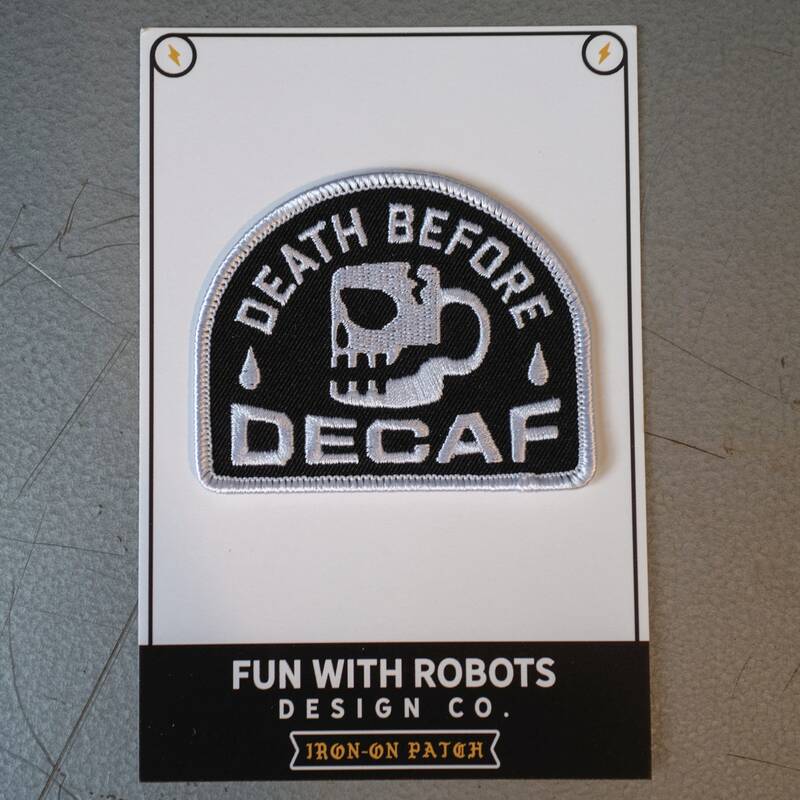 Sure, the statement is a bit extreme, but hey, that's why it's awesome. 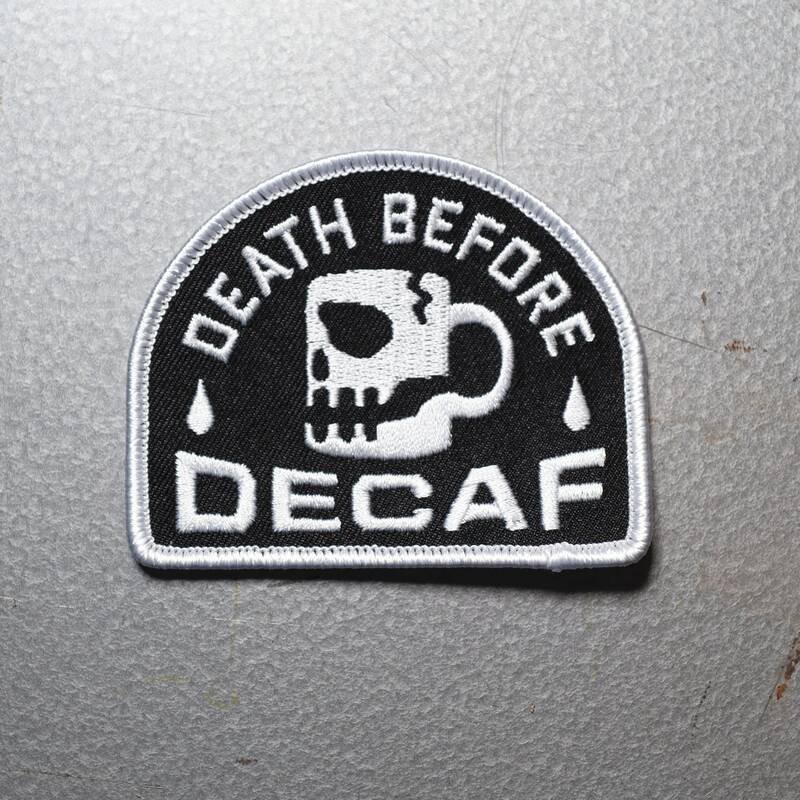 Put this next to your Cryptopsy patch.